Used Selmer Super Balanced Action alto saxophone. Original lacquer about 60%. Significant oxidation on keys and body. 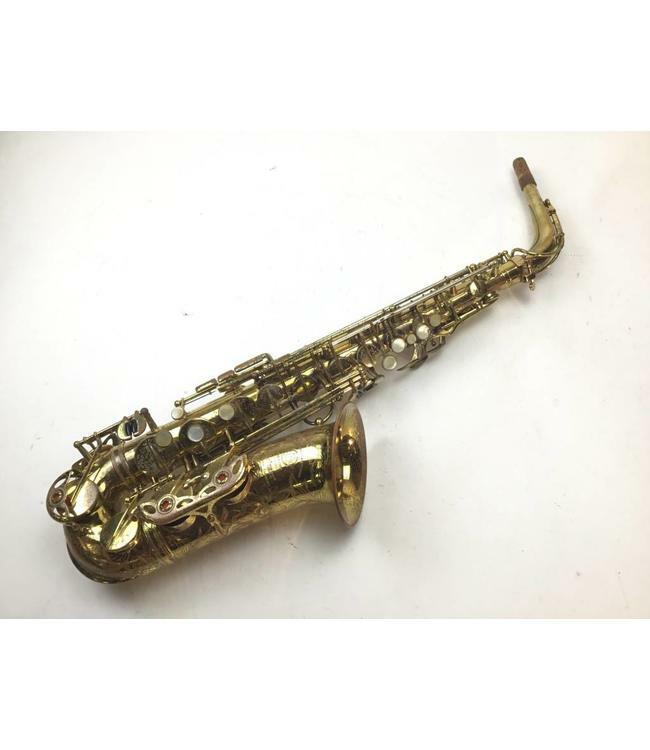 This saxophone is on consignment with us. Although it sax plays it is a little difficult reaching low B and Bb. It will need a complete repad in order to be “performance ready”. Includes case which holds an included clarinet case.